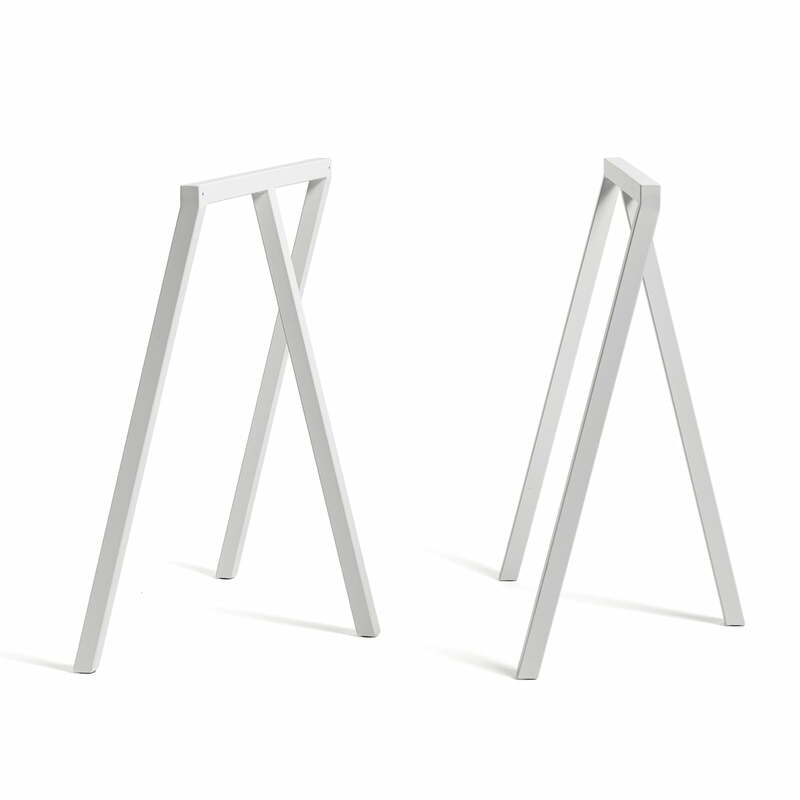 The Loop Stand-furniture was designed by Leif Jørgensen for Hay. The series is made up of basic functional furniture at affordable prices and is continuously expanding. Inspired by traditional industrial trestles, the Loop Stand Frames display a simple shape, emphasising the surrounding space. The three-legged trestles are a simplification of the industrial sawbuck. 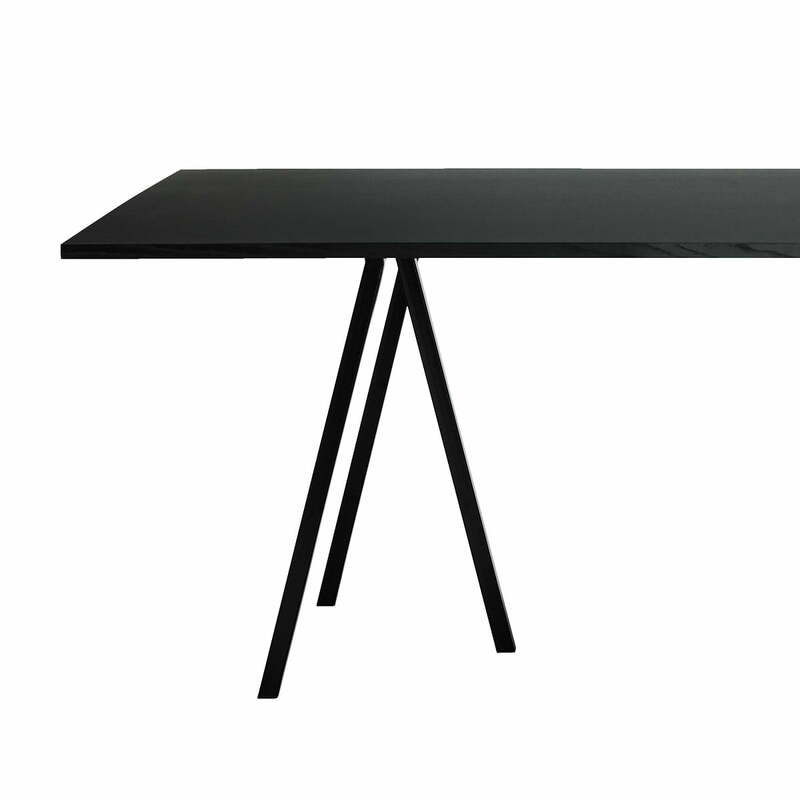 They are made of powder coated steel and available in two sizes: the lower version is for the dining table (Loop Stand Frame) and the higher for the desk (Loop Stand Frame High). Since the two trestles come as a pair, they are very useful as bases for tabletops. The three legs form a solid support. In higher versions, the trestles become the Loop wardrobe. 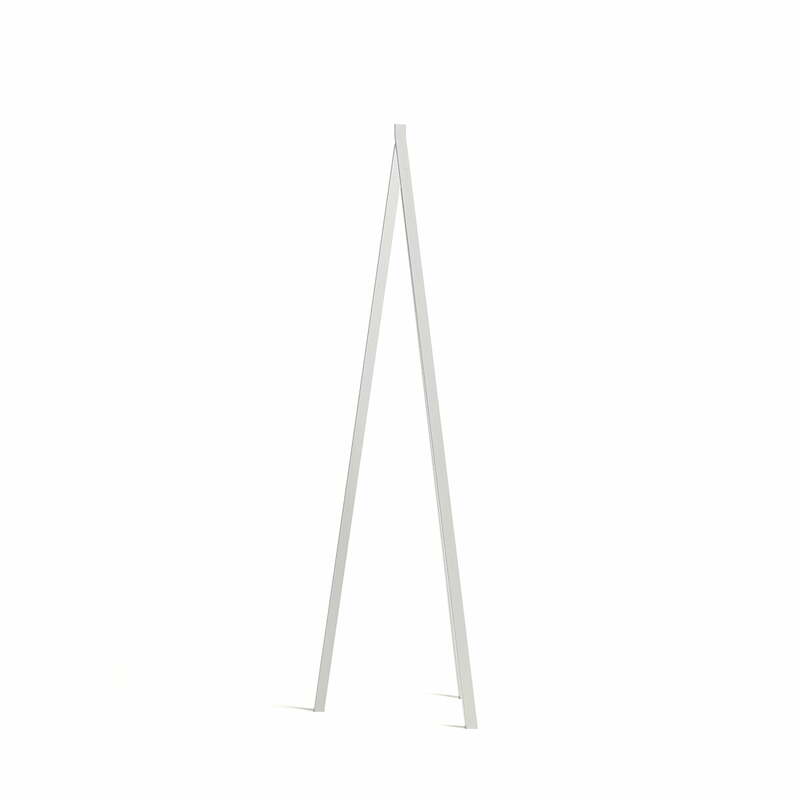 The table trestles were originally designed for the fashion and art boutique Storm in Copenhagen, where Leif Jørgensen was responsible for the interior design. In its timeless beauty and with its clear Scandinavian design, the Loop-Series fits optimally in the exclusive collection of the Hay company from Horsens in Denmark. Details max. load 100 kg. 239 of 466 customers have found this review helpful. 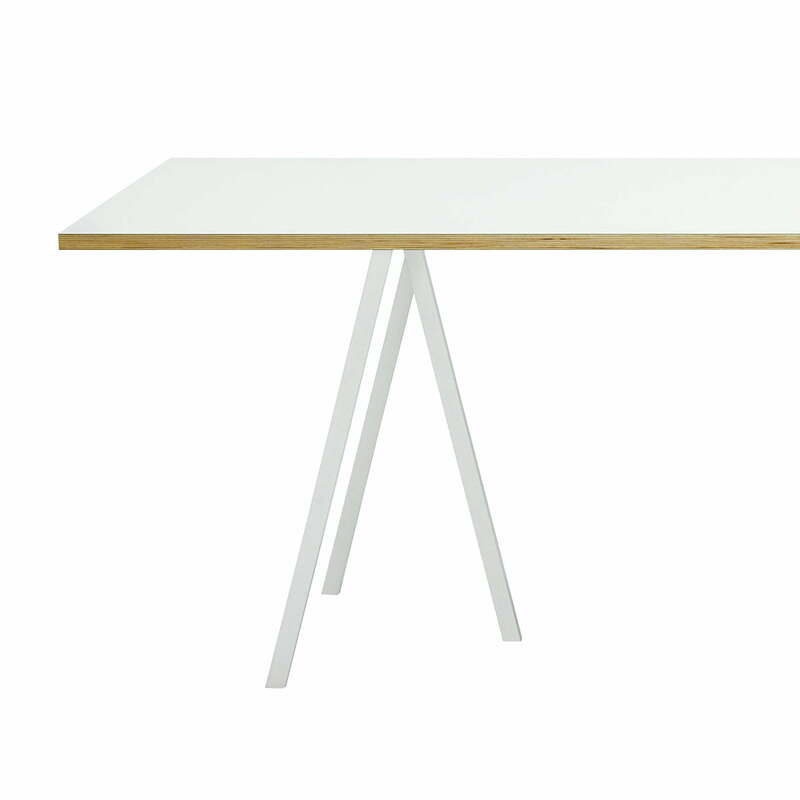 I've always loved Hay's products, and when I was looking for a dining table, I had my eyes set on the Loop table. However, being in Malaysia, having to export the whole table proved to be really expensive, so I was glad that I could just buy the stand, and had the table top done here locally. It's gorgeous! Also Connox was quick to despatch and item arrived less than 2 weeks. Thank you Connox! Am looking forward to get more stuff from you!